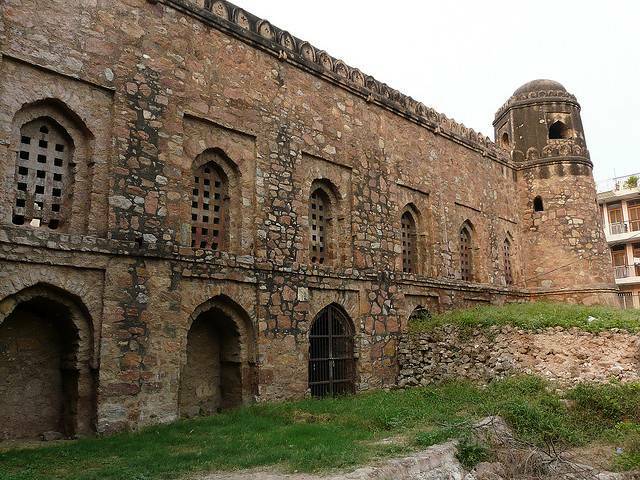 Khirki Masjid, which mean “The Masjid of Windows”, was built somewhere during mid-14th century by the then ruler of Delhi Feroz Shah Tughlaq. Mosque is built in the Tughluquid style of Architecture near Khirki village in South Delhi. The closest Metro station is Malavyia Nagar. The intricate ceiling details, thoughtfully carved walls in the small closed quadrangle-shaped mosque seem to attract keen heritage admirers for praying and sight-seeing. The spacious court-yard allows the devotees to worship in its courtyard. The masjid has been restored with time, since it is an important monument due to its architectural elegance. It is believed to be a marker of transition from the last Delhi Sultanate- Lodhi style of Architecture to the Mughal style.